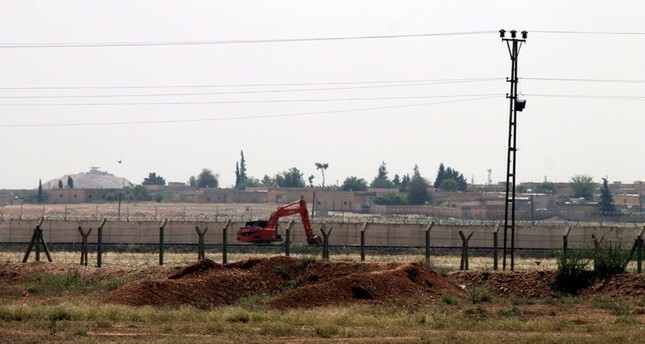 Border units of the Turkish Armed Forces captured four Daesh terrorists, including one sought with a red notice who were attempting to illegally cross the border near Turkey's southeastern Şanlıurfa province. The border units handed the suspects to the gendarmerie after they were attempting to cross to Syria through the Akçakale border. An investigation revealed that there had been arrest warrants for the suspects under the scope of terror probes. There was a red notice issued for one of the suspects identified as Feride Samur, Anadolu Agency reported. Daesh, which is blamed for a string of terror attacks in Turkey in the past few years, saw a decline in membership with militants fleeing Syria and Iraq where it once controlled large swathes of land. Some 2,000 Daesh suspects were arrested and 7,000 others were deported in operations against Daesh in Turkey while around 70,000 people were denied entry to Turkey over their suspected links to the terrorist group. Security forces have also foiled tens of attack plots. Figures show that some 18,500 suspects are currently being monitored for links to the terrorist group after being identified at airports upon arrival.